And instead, your amazing invention ends up being your kiss of death? It happens... maybe infrequently, but it does happen. Below, check out five examples of inventors who might have prolonged their lives if they had never dreamed up their creations. Alexander Aleksandrovich Bogdanov was a Russian Renaissance Man – his interests included physics, philosophy, economics, science fiction, the universal systems theory and, his downfall – the possibilty of human rejuvenation through blood transfusion. Bogdanov was interested in the theory that a blood transfusion could possibly hold the secret to eternal youth, or at least slow the aging process. He actually performed a blood transfusion on Vladimir Lenin's sister, Maria Ulianova. He tried 11 of these procedures on himself, with one of his friends remarking that Bogdanov appeared to be 10 years younger. In 1928, he completed a blood transfusion on himself that ended up resulting in his death. The transfer was from a student who had malaria and tuberculosis. Some suspect that the death was, in fact, a suicide – Bogdanov wrote a very "nervous" political letter shortly before his death. 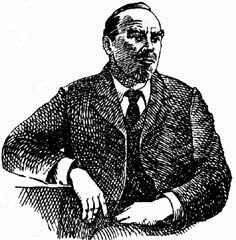 William Bullock is the man responsible for the 1863 invention of the web rotary printing press. It completely changed the printing industry because of how quickly it could produce. This was one of his many inventions – others included a roof shingle cutter, a cotton and hay press, a seed planter, a lathe cutting machine and a grain drill (which won him a prize from the Franklin Institute). He perfected his web rotary press in 1860. Although a rotary press was already in operation, Bullock's allowed continuous large rolls of paper to be used, eliminated the need to hand-feed paper through. The press could print up to 30,000 sheets an hour. In 1867, though, the machine turned against Bullock. He was adjusting a new press that had been installed for the Philadelphia Public Ledger newspaper and tried to kick a driving belt onto a pulley. His leg got caught into the machine and was completely crushed. He died a little more than a week later during an operation to amputate his leg. 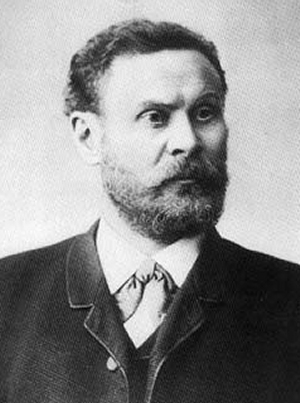 Before the Wright Brothers, there was Otto Lilienthal. Known as the "Glider King", he was the first person to make successful gliding flights more than once. Publications ran pictures of his successes, which helped to make the idea of inventing a "flying machine" more plausible to the public. After many years of successes, failure finally caught up with him. On August 9, 1896, he fell from a height of 56 feet and broke his spine. He died the next day, but said "Kleine Opfer müssen gebracht werden!" ("Small sacrifices must be made!"). The Wright Brothers credited him with as their inspiration for pursuing flight. "Of all the men who attacked the flying problem in the 19th century," Wilbur Wright said, "Otto Lilienthal was easily the most important." Thomas Midgley, Jr. held more 100 patents, had a degree in mechanical engineering from Cornell and worked for a subsidiary of General Motors. He discovered that adding tetra-ethyl lead to gasoline prevented internal combustion engines from "knocking". However, this also released huge amounts of lead into the atmosphere, causing health problems and massive pollution. After people at the GM plants started hallucinating and dying of lead poisoning, though, Midgley was assigned to develop a non-toxic refrigerant for household appliance. So, he discovered dichlorodifluoromethane (please don't ask me to pronounce that), AKA Freon. Turns out that Freon is a chlorinated fluorocarbon, which is insanely bad for the ozone layer. This guy just couldn't win! Midgely wouldn't live much longer to discover other toxic substances, though – in 1940, he developed polio. The disease left him extremely disabled, but, being the inventor that he was, he developed a system of pulleys and ropes to lift him out of bed. It was this invention – and not the hazardous exposure to lead and CFCs – that killed him. In 1944, he got tangled up in the ropes of his contraption and strangled to death. 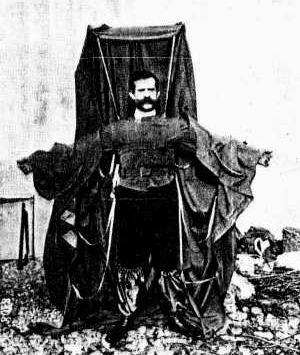 Franz Reichelt was a tailor who was convinced that the next big thing was a coat that doubled as a parachute. So he got busy sewing and developed just that. To test the coat/parachute (coatachute? Paracoat? ), Reichelt climbed up to the first deck of the Eiffel Tower. He told authorities that he was going to use a dummy to test the invention, but at the last minute he strapped himself in and jumped to his death in front of a large crowd of spectators. If you YouTube his name, you'll find video of the entire event. Since this is a family blog, I wasn't sure that I should link to a man plummeting 60 meters to the cement below. Apparently there's a long-standing story that Dr. Joseph-Ignace Guillotin died at the "hand" of his namesake invention, the Bowie Knife. I'm just kidding. He helped conceive of the guillotine, obviously. He suggested the beheading machine as a way to humanely execute criminals. Guillotine was actually against the death penalty and hoped that his invention would be a step toward more humanity, which would eventually abolish the death penalty altogether. At the time, people who couldn't afford to pay for a quick death were decapitated, but it often took quite a few blows and the axe or sword was usually rather dull. 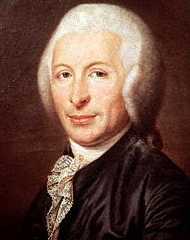 Although Guillotin was arrested and imprisoned in the late 1700s, he was not executed. He was freed and died of natural causes in 1814.
cfc's floating up in the air? hmmmmm thats about as likely as watching a block of lead do the same thing! About the guillotine, the inventor might not have been killed by his own invention but I think it's a historical fact that Louis XVI who was a better inventor than a king helped him perfectionate his creation by recommending a triangular blade with a beveled edge instead of a crescent one. And Louis XVI was beheaded by this guillotine. "Five People Killed By Their Own Inventions"